Products : source for the best foods, treats, toys and supplies. In-Store Services are Dog Wash (Self-service dog wash) and Live Crickets. Pet shop located in East Sacramento. 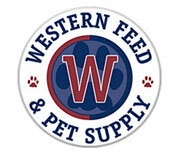 Best place in Sacramento for pet food and supplies. For Dogs : Beds, Crates & Gates, Feeders & Bowls, Cleaning & Potty, Flea & Tick, Food, Grooming, Dental Health, Leashes, Collars & Training, Toys, Treats. For Cats : Beds & Carriers, Feeders & Bowls, Flea & Tick, Food, Grooming, Dental Health, Leashes, Litter & Accessories, Toys, Training & Cleaning, Treats. Services : Dog Wash, VIP Pet Care, I.D. Tags and Adoptions. Note : Dog wash stations close 30 minutes before store closing.